Temporary work and human resource WorkExpert - ambergreen S.L. 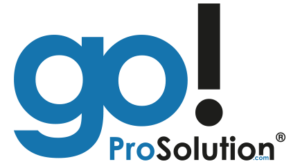 Fully integrated with ProSolution go! With its modular structure, easy integration and web-based technology, WorkExpert is a complete solution. From recruitment, master data management to billing and gross payroll, and much more – WorkExpert covers the entire day-to-day business in your organization. We specialized in providing unrestricted tailor-made solutions for your temporary employment, regardless of the size. Four different editions help you to easily and efficiently reflect your needs, requirements and wishes. We are happy to assist you in optimizing your process! WorkExpert does not require installation on a local machine. Enjoy the freedom to access your company data anywhere in the world at any workstation with Internet connection and complete your day-to-day business in real time – without additional licenses, at no extra cost! For your security we enable a Two-Factor-Authentication system out of the box. 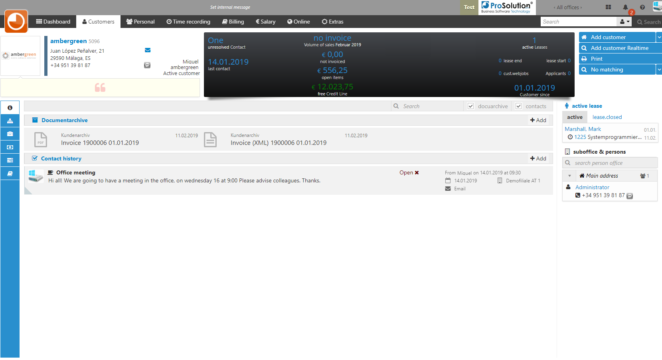 Optimize your IT expenses. Save on server systems, maintenance, backup and all other ongoing costs for the care and maintenance of in-house solutions. With our model “Solution as a Service” (SaaS) you get an all-inclusive package – we take care of all technical conditions and updates. SaaS … is not just Software as a Service for us, it’s Solutions as a Service! WorkExpert was developed to be prepared for temporary work industry standards of different countries and business types. Furthermore, it is capable of multi-language and multi-currency support. With WorkExpert you are well prepared to handle business even outside your own countries boarders.